What are the things that you do most often? Those movements you ask your body to do every day? The ones that you might not even think about? Do you climb lots of stairs? 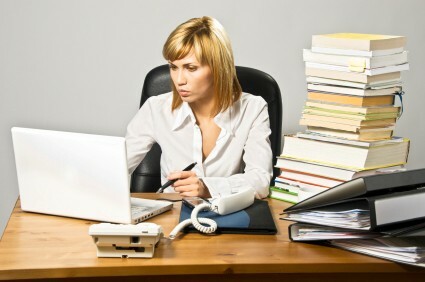 Do you sit at a desk, or spend a lot of time on the phone? Or maybe you swing a sledgehammer all day? Believe it or not, the way you support your body in doing the tasks you do most often will have an impact on your bigger, perhaps more exciting movement goals. If you’re struggling with some aspect of your fitness or movement, it might be time to consider the impact of those “boring” details. Maybe it’s not about hefting that kettle bell over your head one more time, or doing yet another “core” exercise. Maybe you need to take a closer look at how well you support your structure doing those pedestrian tasks you do all the time. Several years ago, I met a man who liked to run marathons. He was a strong, athletic guy who worked to keep himself in good shape, and loved the feel of being fit and healthy. Unfortunately though, he had a re-occurring issue with back and knee pain. The pain he experienced started to get in the way of his training. He’d done all the “exercises” he was told to do to help his back. He’d done the “work” he thought he was supposed to do to get better and get back to training. His efforts even seemed to help for a while, but then he’d find himself back in the same old situation: trying to train for the latest race and struggling with pain when he pushed his mileage or his time. So what was going on? What I didn’t tell you about this man is that he worked as a courier. As part of his job, he drove around the city all day in a car. 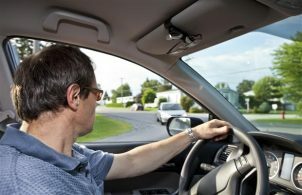 His vehicle had a standard transmission, so he was constantly playing between the clutch, the accelerator and the brake with his feet, moving the stick shift with one arm. The car had bucket seats, so his pelvis was dropped down lower than his knees, and tipped backward, putting stress on his lumbar spine. He made frequent stops to deliver parcels and packages. He would get in and out of his car (and those buckets seats) from the same side time after time, day in and day out. He would often twist and reach down into the back seat to retrieve packages (with his stick-shift arm). He did all these things so often, and so automatically, that they never even crossed his mind when he considered what might be going wrong with his marathon training. When I told him that I was going to help him train for the marathon by training him to better support himself driving his car, he looked at me as though I had rocks in my head. It took me a while to convince him that the faulty load transfer patterns that were so prevalent in his daily life needed to be resolved so that he could train without pain. And once that happened, he would then be able to work on improving performance if that’s what he wanted. But until he could get through a day’s work with great structural support, his marathon training would continue to flounder. So, we rolled up our sleeves and go to work. It was a different approach for him. He was used to “pushing the envelope” all the time. I was asking him, at first, just to sit and lengthen his spine, releasing his hips and feeling his feet. Once he gained better deep spinal support in a sitting position, we added loading and motion in the legs and arms. He began to understand how to use his core; not just to “hold tight,” but to respond to movement demands with appropriate timing and energy. He practiced twisting and un-twisting. Then he practiced standing up and sitting down. He worked on ways to balance out the imbalances that came about from getting in and out of his car, up and down on the same side all the time. Gradually we worked through the various combinations and permutations of support that his body required to do his job. And gradually, as he gained the strength and endurance to support himself better through daily activities, he found he was less stiff and grumpy at the end of the work day. He found a new spring in his step. And when he began to practice transferring his new motor control skills into his marathon training, the pain that kept showing up… disappeared. His body felt good, his times and distances improved and he was a happy marathon runner once again. Can you maintain an easy length in your spine and neck, with legs relaxed and shoulders easy? When does maintaining that become challenging? Where do you feel stiff or restricted? Is there a pattern? At the end of the day, or a hard week, do you feel tight and or compressed? Do you get frequent headaches? Body aches? Tense muscles? Does your body feel dense? Density does not equal strength! Do your muscles feel tight and strong, or loose and strong? Or tight and weak? Loose and weak? Does your body (or parts of it) feel tired before it starts to hurt? Do your joints move as fully as you think they should? Does your movement feel fluid and coordinated, or effortful and challenging? No matter how “fit” you may be, a body that is not well supported in its day to day activities will, at some point or other, experience stiffness, pain and or injury. Athletes are master compensators, and will often find ways to keep going despite serious motor control pattern problems until they are struck down by a “sudden” injury. And if you’re not using the body a lot in your day, you’re not regularly practicing how to use it well, so those intrinsic patterns that support your daily tasks begin to deteriorate. Don’t take your movement for granted. Move it or lose it is no joke. Get back to basics and look after your structure before you begin to demand more of your body. Don’t accept the status quo. Most of what people experience as being “too old for this” is really dysfunction instead. Learn to support your structure better. When you make that effort, your structure will be primed and ready to act as a platform and springboard for whatever movement you want to do. And not only will you experience less pain and fewer injuries, you will discover new feelings of vitality, improved performance and longevity in your practice. And THAT feels GOOD.